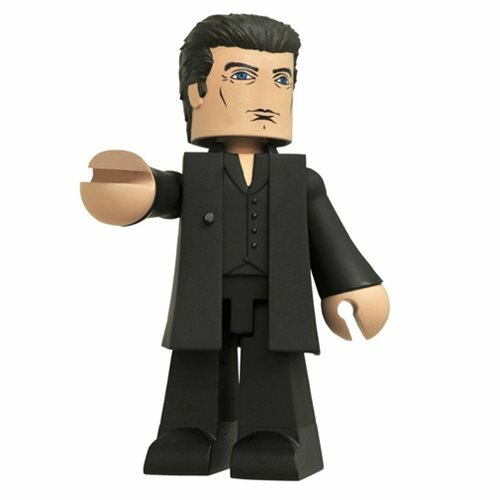 Shopping for Movies Vinyl Figures? May your days be long upon the Earth, and may you have plenty of Vinimates! From the film adaptation of Stephen King's The Dark Tower, Diamond select Toys is tackling the film with a line of Vinimates vinyl figures! This 4-inch designer figure introduces the Man in Black based on the upcoming film. He is featured in a striking pose straight from the movie and is sculpted in the iconic Minimates block-figure style. Create even more dynamic poses with his articulated neck. Collect The Gunslinger to complete the set (sold separately)! This The Dark Tower Man in Black Vinimate Vinyl Figure comes packaged in a full-color window box.